Sever’s disease is not essentially a disease, but a repetitious strain injury predominantly in active children 9-14 years old. 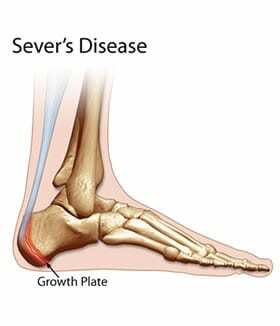 Sever’s Disease (Calcaneal Apophysitis) is pain at the back of the heel at the growth plate where bone has not yet fully developed and calcified. 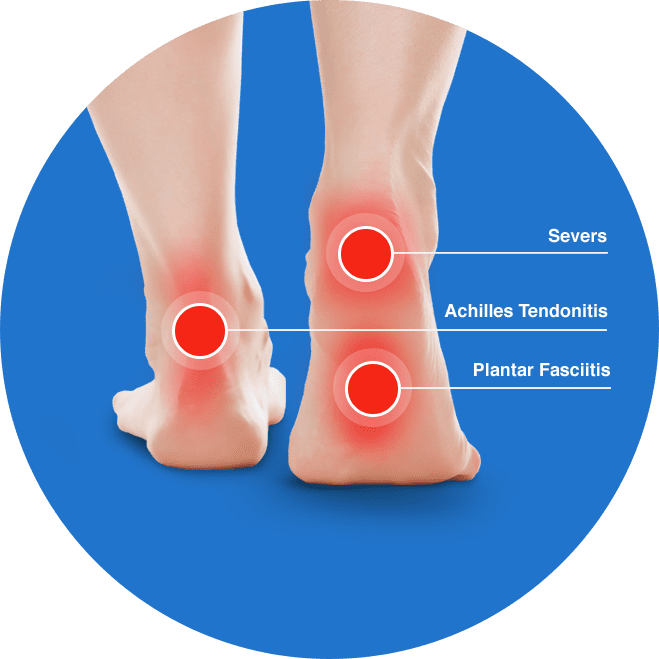 The Achilles tendon and plantar fascia attach to the growing bone which then undergoes a lot of pulling forces from these structures during weight bearing activities. Repatitous actions like running, jumping, side stepping sports such as football, hockey, athletics, basketball, tennis etc. It can also occur in children with low activity levels as well. The Heel Clinic’s treatment is to control the position of the heel with a specific prescription Insert to remove the excessive heel motion. This is a more advanced and comfortable form of support than standard arch based orthotics. Easing off sports together with for a short period is recommended increased flexibility in the calf muscles and an icing programme, the ailment usually settles in a few weeks.